"The sort of spectacle and experience that comes along once in a lifetime." Michael Flatley's fine footwork continues to evolve, captivating audiences from East to West as its fan base grows steadily, heralding the company's triumphant return to the world stage. Created and choreographed by the Lord of The Dance himself, the show had a humble beginning as a 7-minute long interval filler at the 1994 Eurovision Song Contest. The interlude earned a standing ovation; all it took was this little spark and the show was developed into a fully-fledged production. Initially featuring Irish dancing champions Flatley and Jean Butler as its principle dancers, the show is now a training ground for Ireland's top dancers as well as the rising stars of Flamenco, Russian and Tap Dancing. As the prestigious production heads towards its 25th year, director John McColgan and producer Moya Doherty have decided to make some changes. Audience members who have been before will be amazed that something so different can also be so familiar, noticing all new lighting, projection and scenery along with a re-recording of the iconic music! A celebration of Ireland's cultural heritage, history and mythology, the production revolves around the intricate footwork of traditional Irish dance set to the haunting melodies and rousing rhythms of the nation's musical identity. The awe-inspiring skill of the dancers and the thunderous, pulsing beat of their hard shoes against the stage floor is simply captivating, whilst the musicians positioned on stage play their own principal role - their music is spirited, joyful and not banished to the confines of the orchestra pit. When the two meet, the ceilidh-like on-stage energy is palpable and infectious. 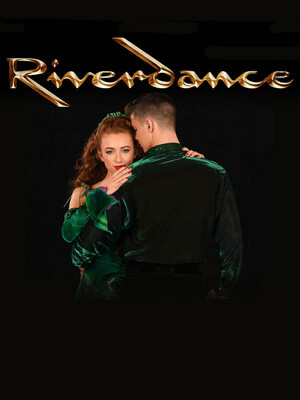 Moving as swiftly as its dancers, Riverdance's choreography ranges from an Irish Jig to Jazz tap to Spanish dancing. It's this embrace of other cultures and styles that makes the show as relevant and exciting as ever. Sound good to you? Share this page on social media and let your friends know about Riverdance at Des Moines Civic Center. Please note: The term Des Moines Civic Center and/or Riverdance as well as all associated graphics, logos, and/or other trademarks, tradenames or copyrights are the property of the Des Moines Civic Center and/or Riverdance and are used herein for factual descriptive purposes only. We are in no way associated with or authorized by the Des Moines Civic Center and/or Riverdance and neither that entity nor any of its affiliates have licensed or endorsed us to sell tickets, goods and or services in conjunction with their events.